How to Move Contacts between iPhone and Google Nexus? Home > Resources > Transfer > How to Move Contacts between iPhone and Google Nexus? Planning to change to Android platform for getting tired of your old iPhone so you just purchase a brand-new Android phone – Google Nexus 7 or Nexus 9 tablet? Then, you have the need to transfer all the contacts from your old iPhone to the new Google Nexus 4/5/6/5X/6P/7. If you are a new comer to Android platform, the contacts transfer process may be troublesome for you, especially once your iPhone is full of contacts. Editing contacts one by one will take you a long time. You can ease up because here is a professional iPhone to Nexus data transfer program named Coolmuster Mobile Transfer to bring you an unexceptionable solution to move contacts between iPhone and Nexus 7/6/6P/5/5X/4 with ease. 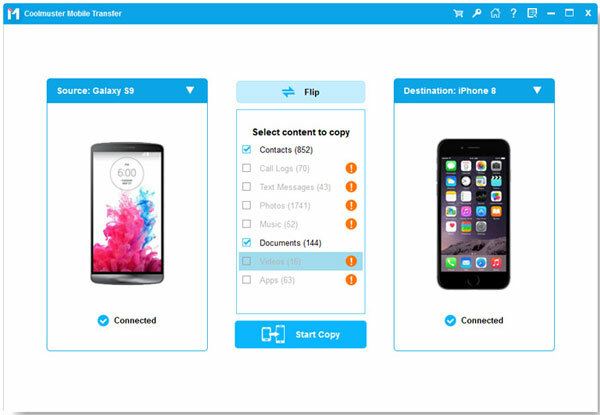 It is convenient for you to copy data on iPhone 7/7 Plus/6S/6/5/4S, such as contacts, text messages, photos, videos, music, apps and more, just in 1 click. And all contact information like names, phone numbers, emails, company info, etc. can be preserved. 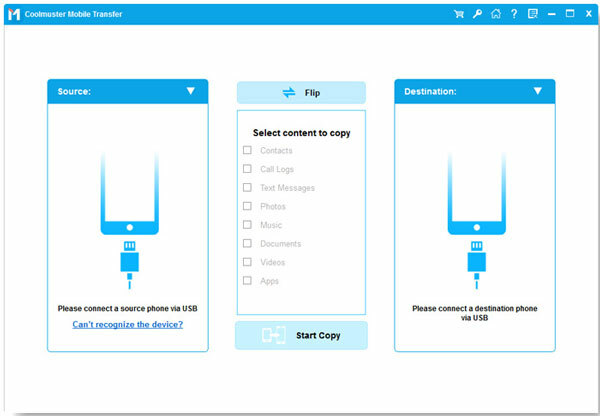 Download the free trial version of this iPhone to Nexus Contacts Transfer tool - Mobile Transfer to your computer. Then try syncing contacts between the two phones as the steps below tell you to do. First of all, install the Mobile Transfer after you downloaded and run it on your computer. Then, you will see the primary window of it displays on your desktop. Choose the first "Phone to Phone Transfer" mode from the primary interface. Next, use two USB cables to connect your iPhone and Nexus to the computer. The software will discover the two devices instantly once they are connected and display them on the main interface. Ticking off the data that you tend to transfer, here you should choose "Contacts", from iPhone to Google Nexus Phone and click the left or right arrow to start the transferring process. Make sure to keep both of the two phones connecting to your computer until the transferring is over.